Did you know? Zealand Shores is an agent for a diverse array of Education Providers, including Nelson Marlborough Institute of Technology. Let’s take a look at their new Master’s in Applied Management (MAM) or take our eligibility assessment now. NMIT offers open entry for holders of a degree in any subject area which is very unique. Research Project Level 9 30 credits. The three parts together produce an 18 month, 180 credit Master’s degree with a very high level of flexibility. 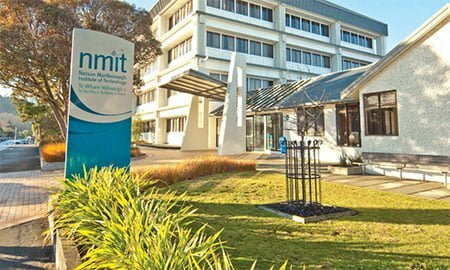 NMIT has the highest rating with the New Zealand Qualifications Authority – Category 1- and has over 100 years’ experience educating students to the highest possible levels. I have attached an application form for your convenience. If you have any questions please don’t hesitate to contact me. Talk to our student specialist now and find out how we can help with your enrolment and visa process and see all the course details on NMIT’s website.